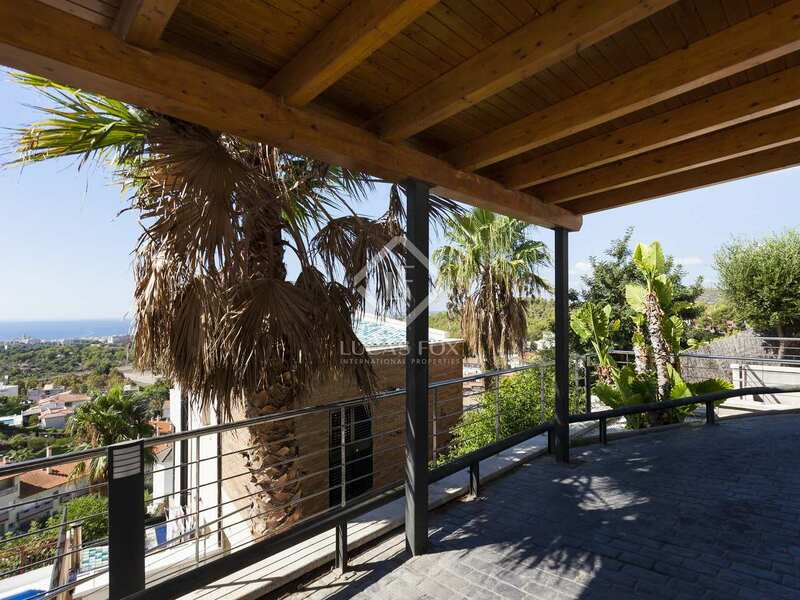 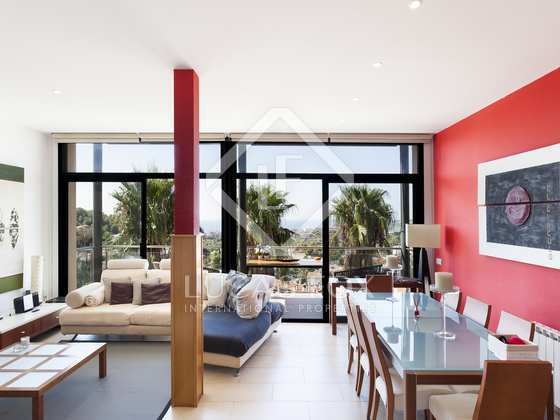 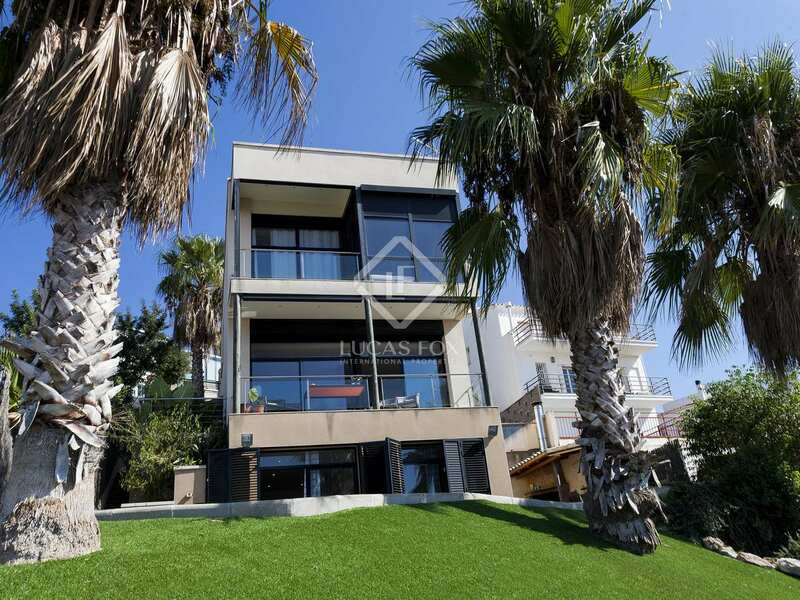 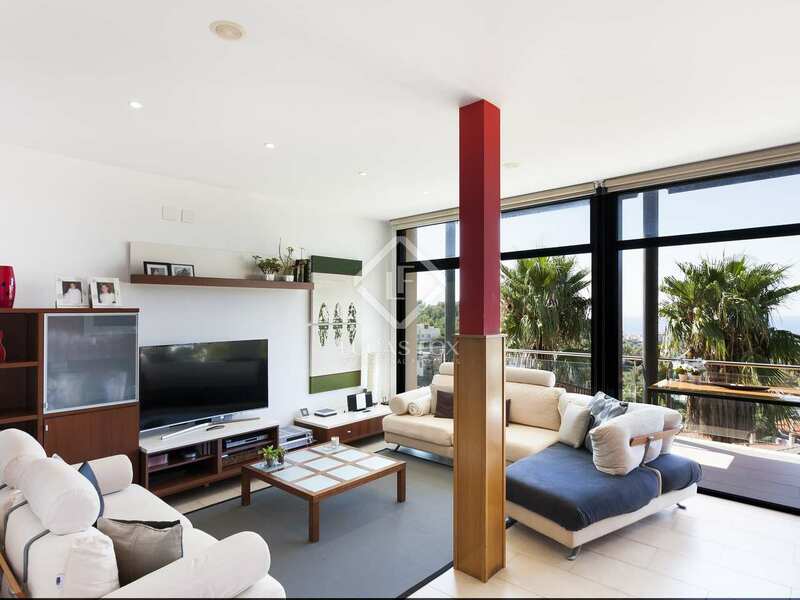 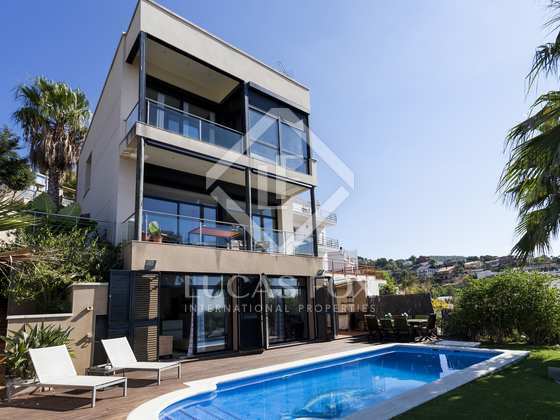 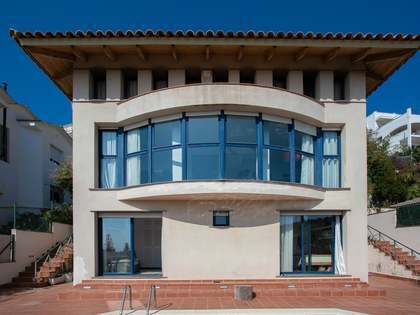 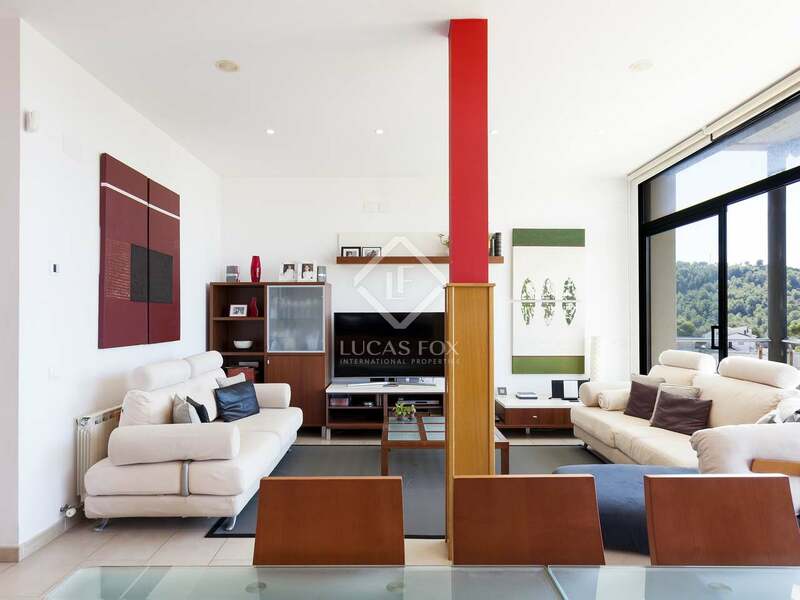 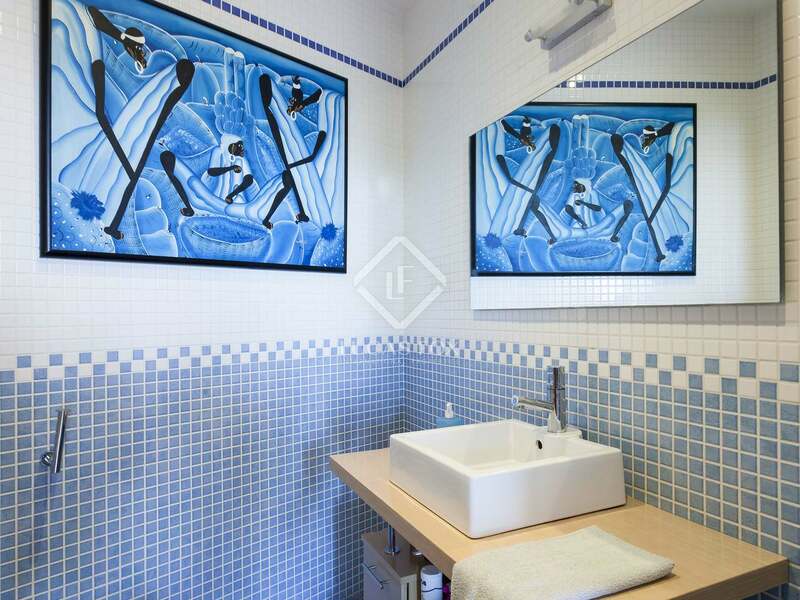 Built in 2006 with a built area of 237 m², this contemporary design high-end villa enjoys an excellent location in the peaceful Quint Mar residential area, just a few minutes' drive from the centre of Sitges and its beach. 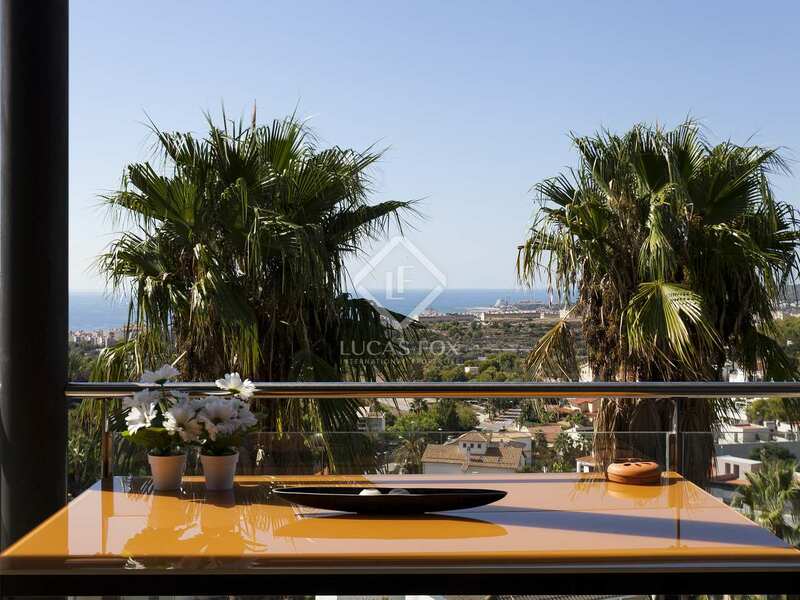 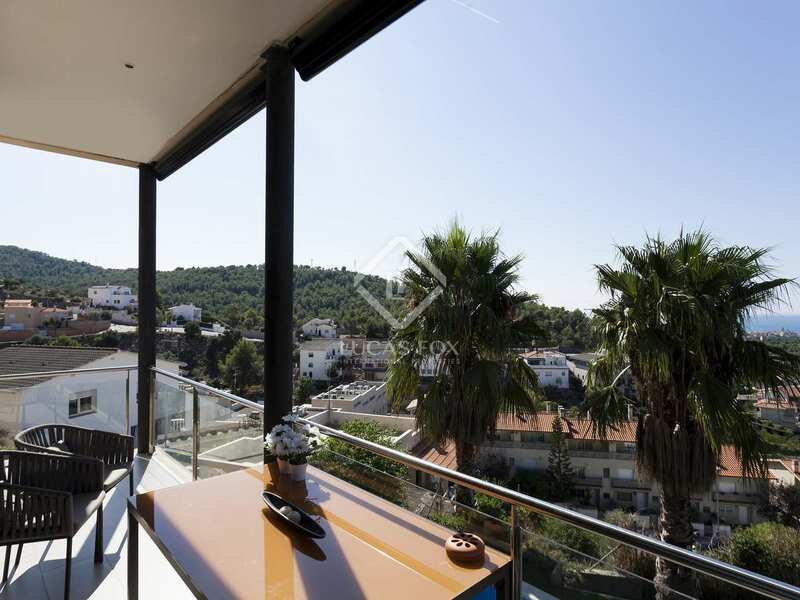 In front of the house there is a terrace, with parking spaces for 2 cars and there is a south-facing garden with a swimming pool offering spectacular panoramic sea views and a barbecue area. 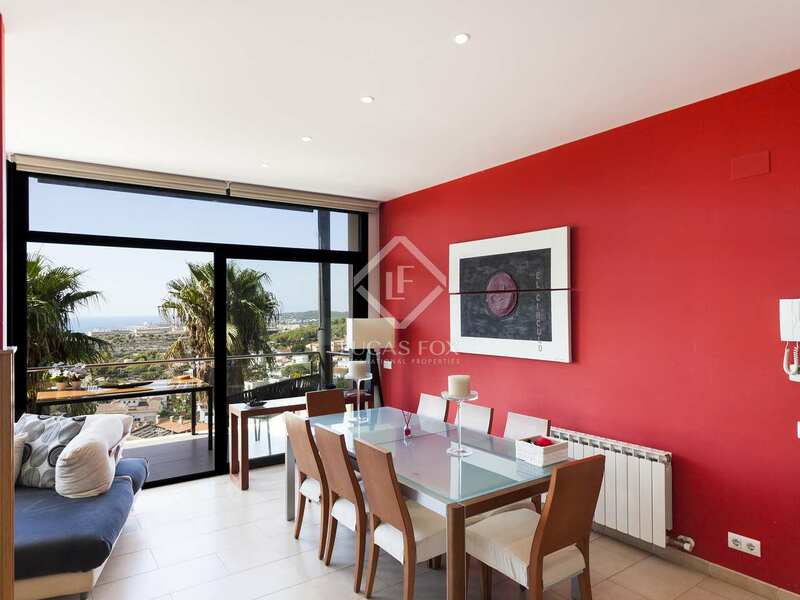 On the entrance level we find the sunny living / dining room with access to terrace with spectacular panoramic sea views through the large windows. 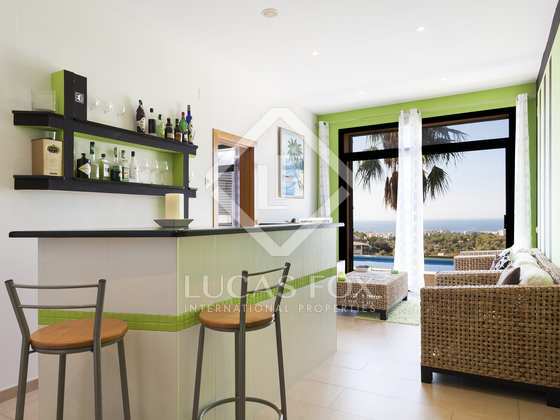 Next to this is the kitchen, with access to the terrace, and the guest toilet. 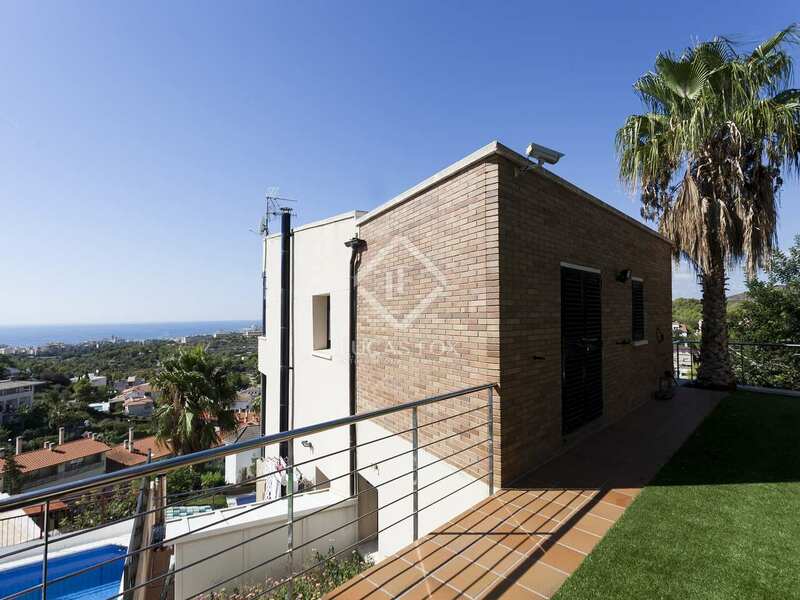 The first floor accommodates the en-suite master bedroom, a second double bedroom with a terrace, the third double bedroom and a family bathroom. 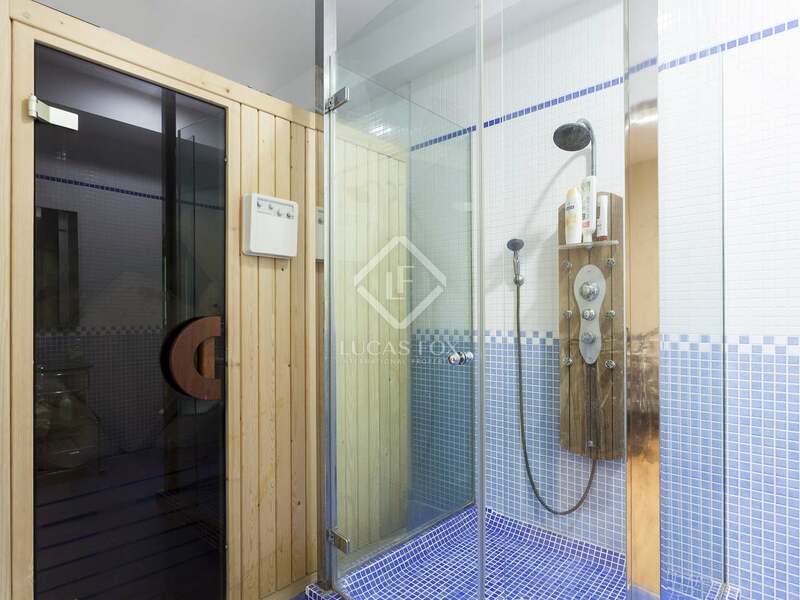 The lower floor offers a second summer living room with access to the garden and pool, a gym with a bathroom and sauna and an office space which may be used as a fourth bedroom. 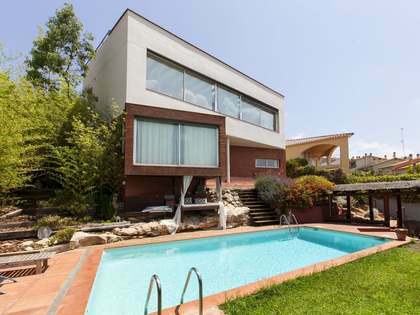 A great modern house, with excellent potential rental yield. 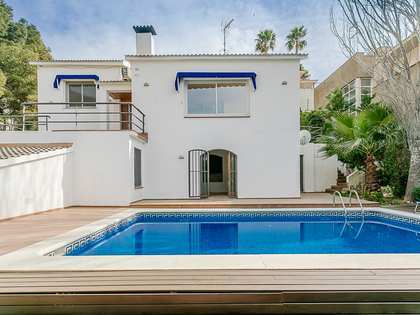 Ideal both as a primary residence or holiday home. 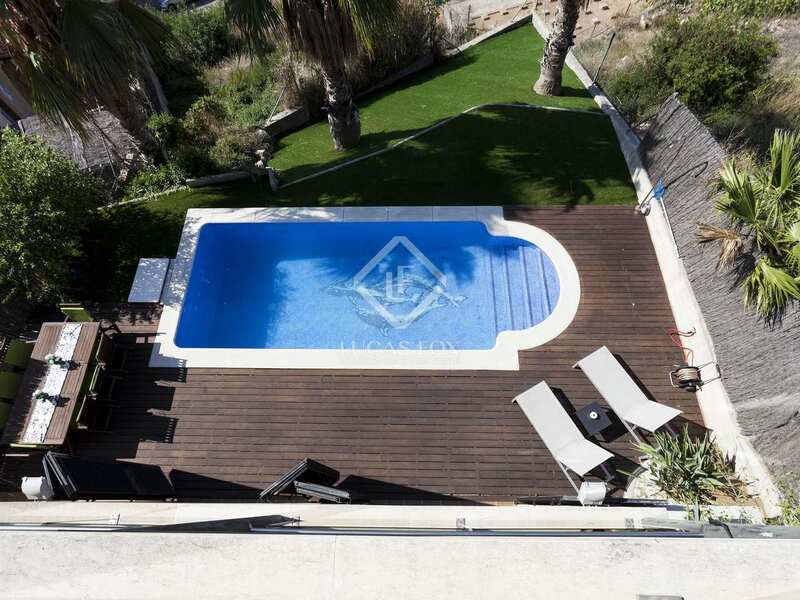 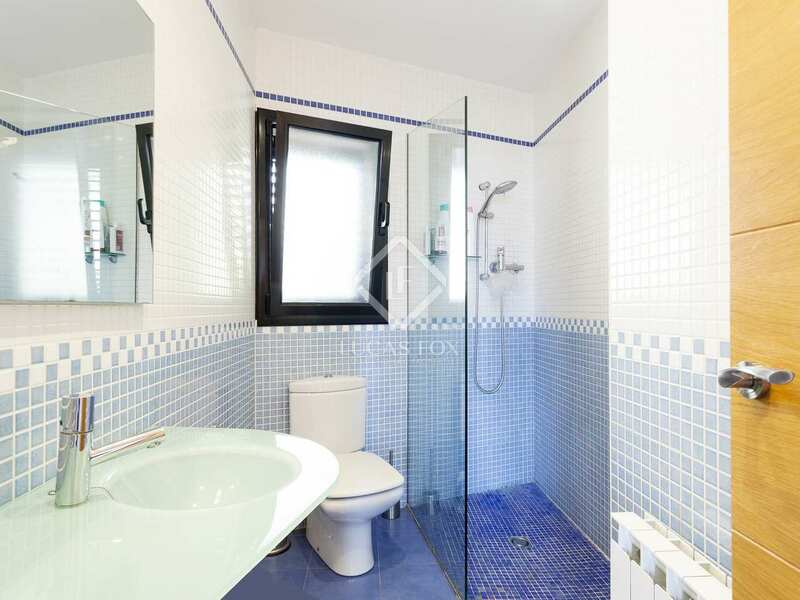 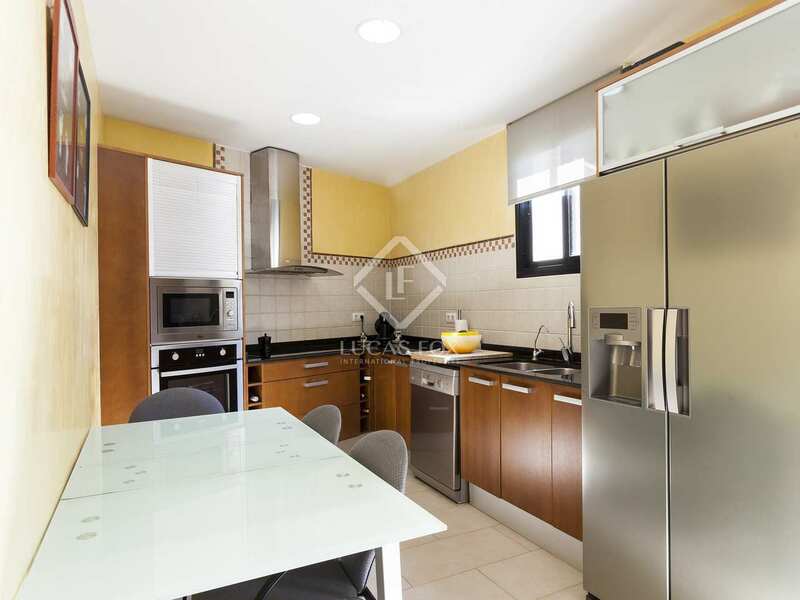 Property situated centrally in the quiet residential area Quintmar in Sitges, approximately 3 km from Sitges centre and train station and a 5-minute drive from the beach and harbour.